It is that time of the year that I LOVE! I love the season of fall and ALL of its wonderful colors, sounds and feel. 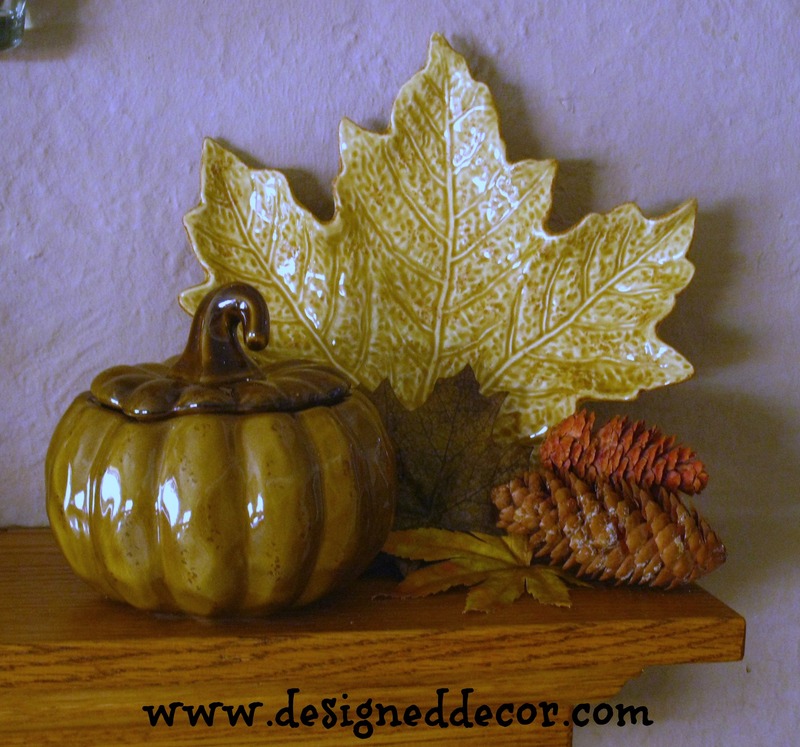 I love to bring all the great colors of fall into my home decor. I have started with the mantel. 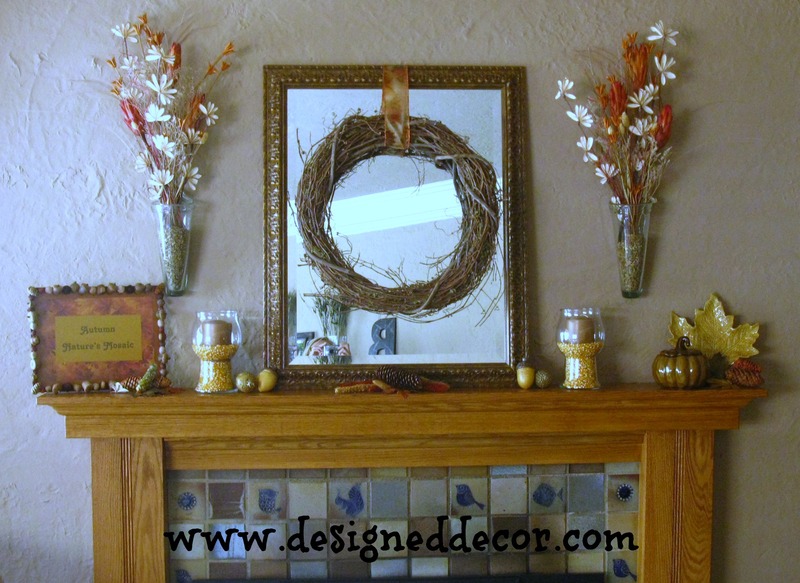 Decorating the mantel is one of my favorite things to decorate in my home. 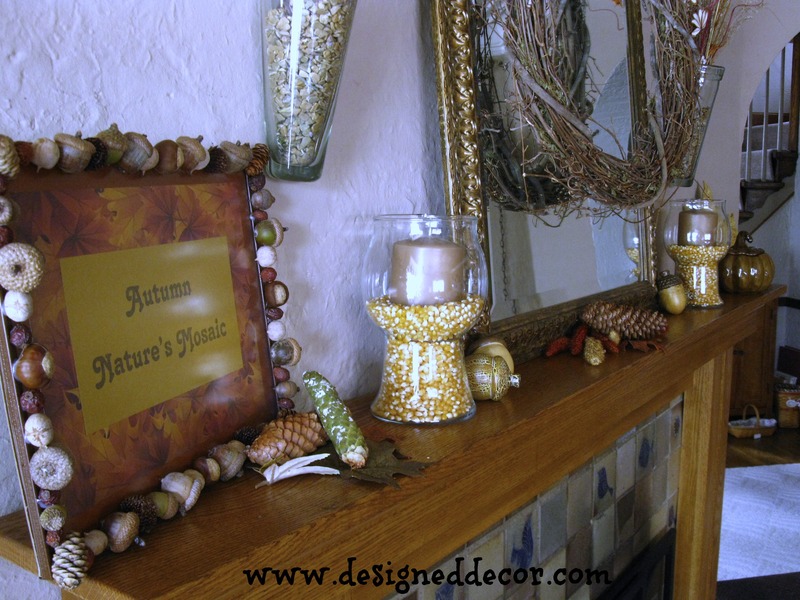 I love to decorate the mantel because it is the one place that I can change every season and it is the main focal point in the our living space. 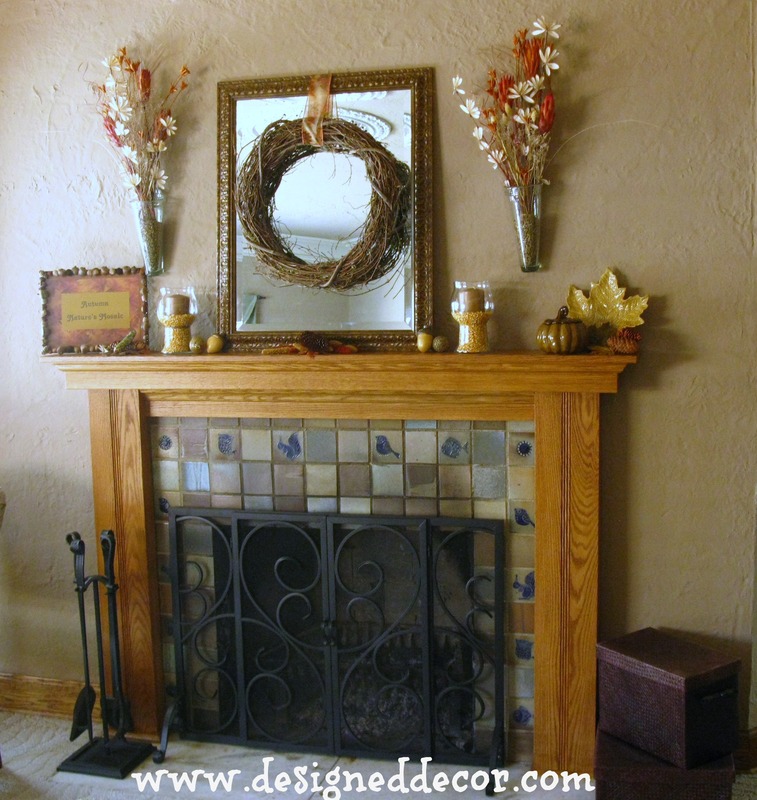 The mantel allows me to decorate creatively or as simple as I would like. 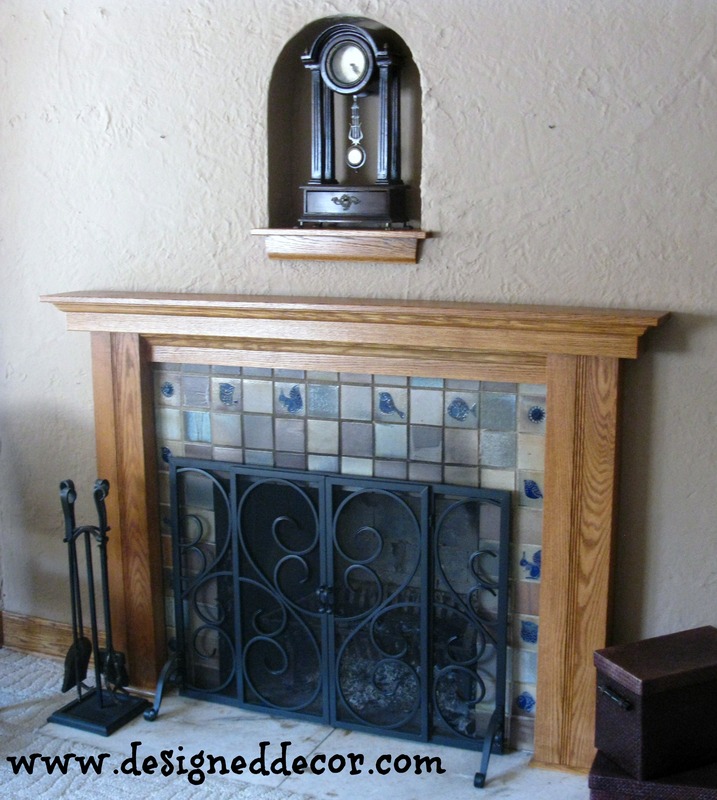 Here is a photo of my empty mantel. I love the cut out above the fireplace. This is original to the home and the rest of the living area has these same arches. It took a long time to find the perfect sized clock to fit in this space. There are times that the cut out makes decorating a bit difficult. 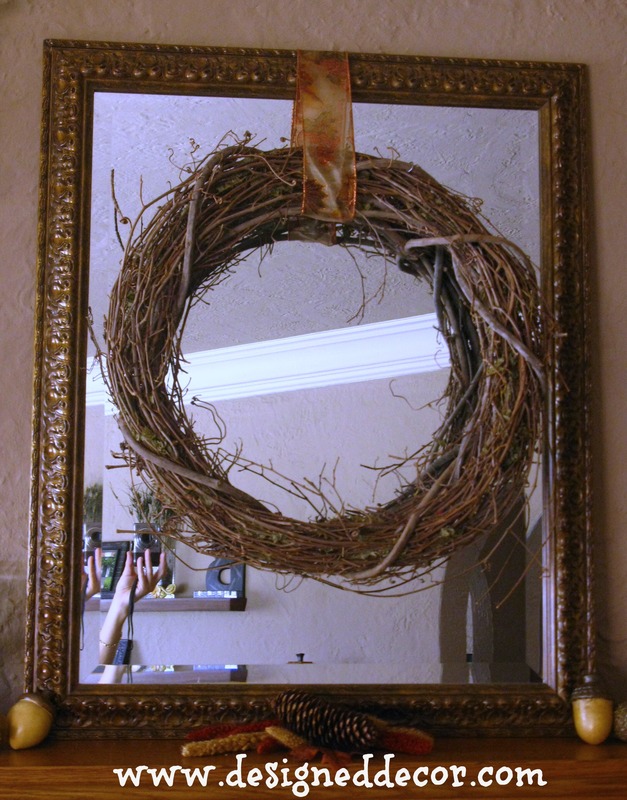 I started the fall decorating with a D.I.Y. nature frame, you can read about this here. As I stated above that the arch can be difficult at times to decorate with, so I found a creative way to cover it up. Most of these fall items I had on hand from earlier years. I like to be creative and move things around and use items from other home decor areas. 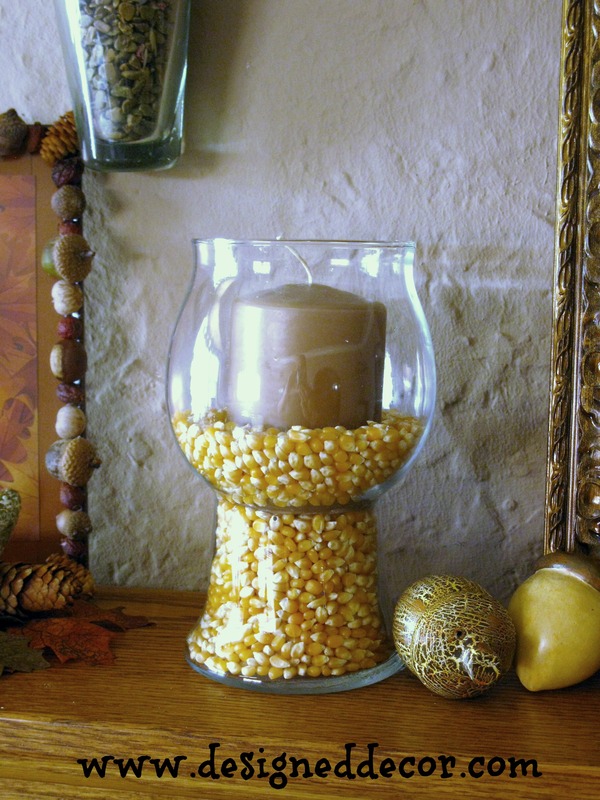 I made the “Autumn Quote” frame, purchased the wreath and the pop corn kernel, everything else I had on hand. I need a pumpkin on top of the stack boxes, but it is a little too soon to get one. I will add one soon! Stay tuned for more fall decorating in my home. Your mantel looks great. Love the little touches that you’ve added. 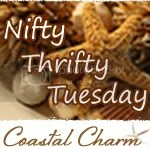 Thanks for stopping by my blog and commenting on our compost. I wrote a long email then as soon as I sent it, it showed “no-reply blogger” I guess since you’re on wordpress. Anyway, I copied/pasted the email over on my blog under your comment. I hope that helps. Thanks Kathy! So glad you stopped by and decided to follow!